With the knowledge gained it becomes difficult to imagine the political upheavals, the social and technological change and the noir corruption enveloping the characters of the street in modern Southeast Asia without Vincent Calvino. He is our street guide through the noir side of the Bangkok night, our cultural interpreter of fast-changing Thai and expat society on all levels, our go-between leading us through fictional situations which are synchronous with real time recent history. And he is a devil for the detail of Thai behavior, language, belief systems and the inner workings of the powerful.” Vincent Calvino’s World by Chad Evans. Certain books come around where the idea had crossed my mind previously. 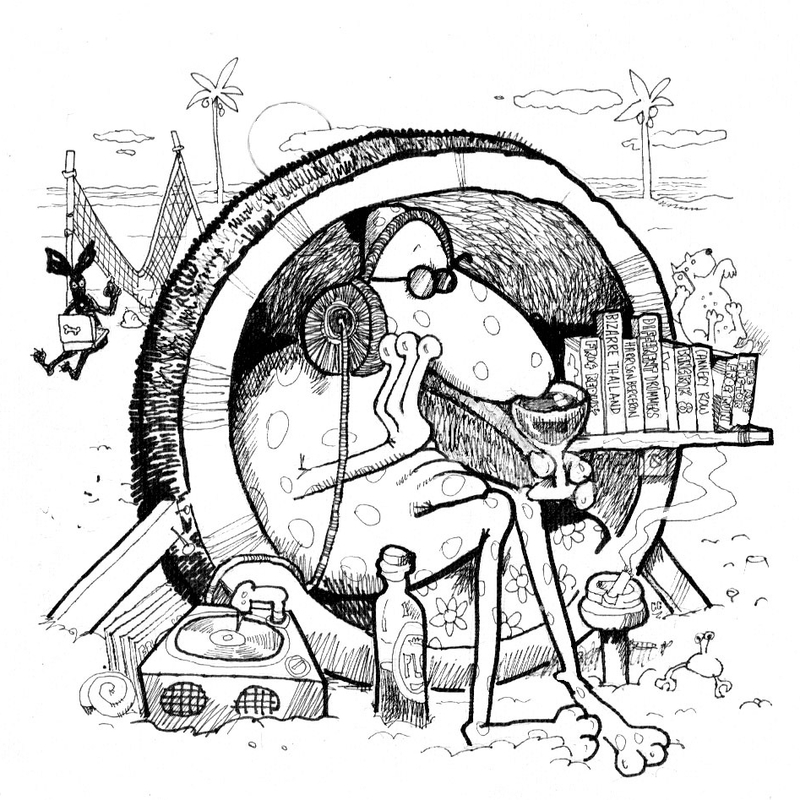 Vincent Calvino’s World by Chad Evans is one such book. I can remember thinking, fleetingly, as a fan of the series there should be a book that chronicles the now 15 strong Vincent Calvino novels written by the Canadian author, Christopher G. Moore. The thought was fleeting because I had to consider who would be crazy enough to take on such a daunting, challenging task and give it the merit and due diligence it deserved? Not me, I was sure of that. Chad A. Evans is, evidently, crazy enough and talented enough to get the job done well. And thank the gods or the animals (up to you) for that. This book, which encapsulates the essence and nuance of a fictional character, a gifted and principled author, the time and place of a region, and a culture is now on the shelves or a digital world near you. Like the Vincent Calvino crime novels, Moore’s stand-alone fiction, and his four books of essays they are all available at this moment in time and for future generations. If Faulkner is right the immortality of Christopher G. Moore is assured. No study of Moore’s books would be complete without referring to a piece of Chad Evans own legacy, “Vincent Calvino’s World”. What a treat it is to read. What a tribute it carves for Moore, today, and for eternity. Moore maintains that only a sliver of history is recorded, a splinter if you will. The rest is forgotten all too soon. The world is a better place for the sliver of moments Moore has documented and Evans has reviewed. Both writers leave the reader knowing what a splendid splinter it is. 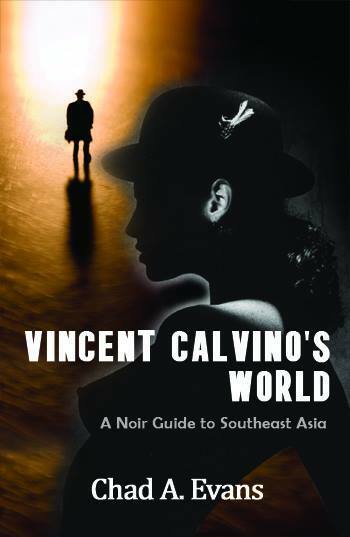 Vincent Calvino’s World is equally entertaining and educational, a perfect pitch noir guide to Southeast Asia. Well done, Chad A. Evans. Congratulations, Christopher G. Moore.